Suzuki Endurance Racing Team – EWC – 3rd. Suzuki Endurance Racing Team will start tomorrow’s fourth round of the 2018 Endurance World Championship at Oschersleben in Germany from third position following today’s final qualifying sessions. SERT riders Vincent Philippe, Etienne Masson and Gregg Black put their GSX-R1000 into second position in the opening qualifying session with a combined time of 1.27.238, then in this afternoon’s final qualifying, with Philippe’s and Black’s times of 1.27.340 and 1.27.038 respectively in Q1, Masson improved his time to score a 1.27.340, putting the 15-time World Champions just 0.282-seconds off pole setters GMT94 Yamaha. 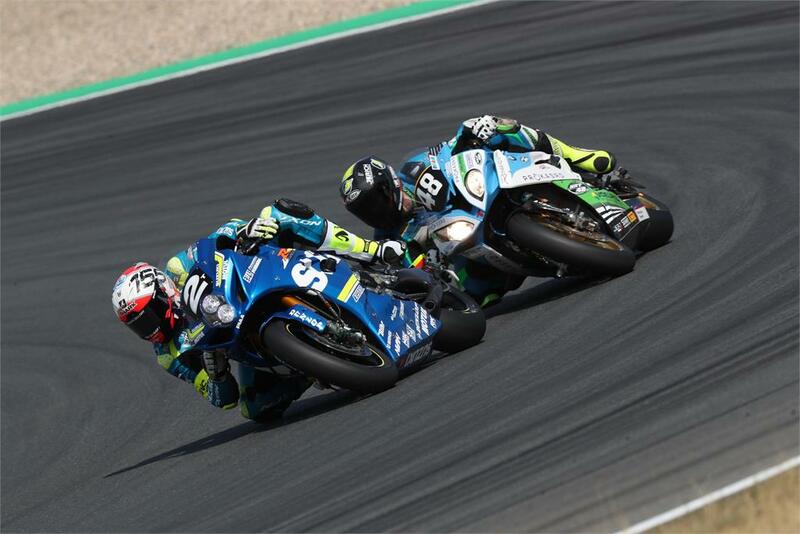 Among the other Suzuki-mounted teams competing, No Limits Motor Team, an Italian squad competing in the Superstock category (12th at the general ranking and third in class), finished just ahead of the Junior Team LMS Suzuki, who are currently second in the series. Saturday’s race gets underway at 13:00hrs (local time) with the finish at 21:00hrs.